Green Building Store works with us to carefully design the HRV ducting system to ensure that the system performs at its optimum. Andrew also pays careful attention to ensure that the air flow in the system is balanced properly and that it is well commissioned. We specified the PAUL heat recovery ventilation because it is a good, robust system with excellent heat recovery rates. We have had great service from Green Building Store’s Andrew Farr. Andrew really knows his stuff and is committed to getting things perfect. He is as enthusiastic as us about ensuring the HRV works well and keeping energy demand low. The Mayville Community Centre is the first certified Passivhaus non-domestic retrofit in the UK. The radical refurbishment was undertaken by bere:architects and involved extensive improvement of the original building fabric in order to reduce the building’s energy consumption. The finished building is predicted to consume 90%-94% less energy than before the refurbishment. The Centre’s massively improved energy use and CO2 emissions are achieved by excellent levels of insulation, ensuring draught free construction, triple glazed windows and onsite renewables. All junction details are designed to prevent or minimise thermal bridges, and contribute to the Passivhaus Planning Package (PHPP) energy calculations. Green Building Store designed, supplied and commissioned the MVHR system for the project. 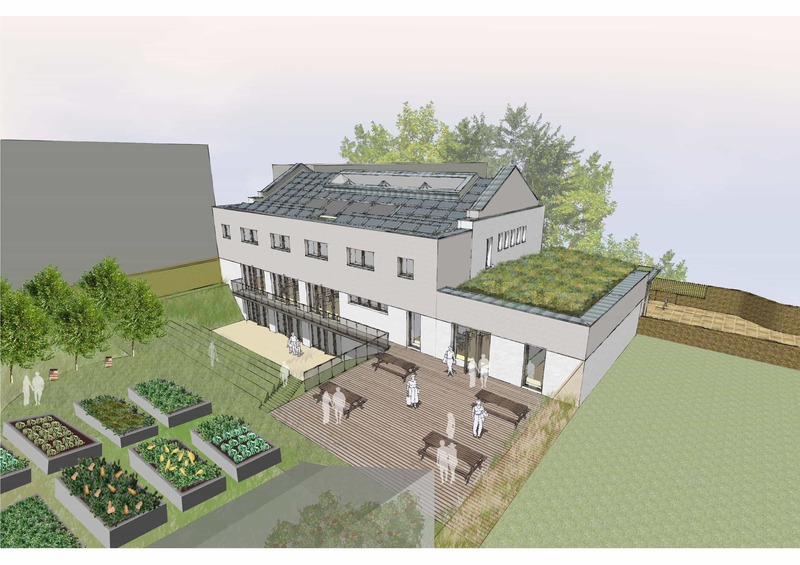 A PAUL Maxi 2000 system was chosen for the site, and Green Building Store worked alongside bere:architects to design the ducting system for the retrofit .